Our Rottnest Ambassador, Jaime Bowler, returns to the elite Champions of the Channel field of the Rottnest Channel Swim after taking part in the Queen’s Baton Relay Team in 2018. 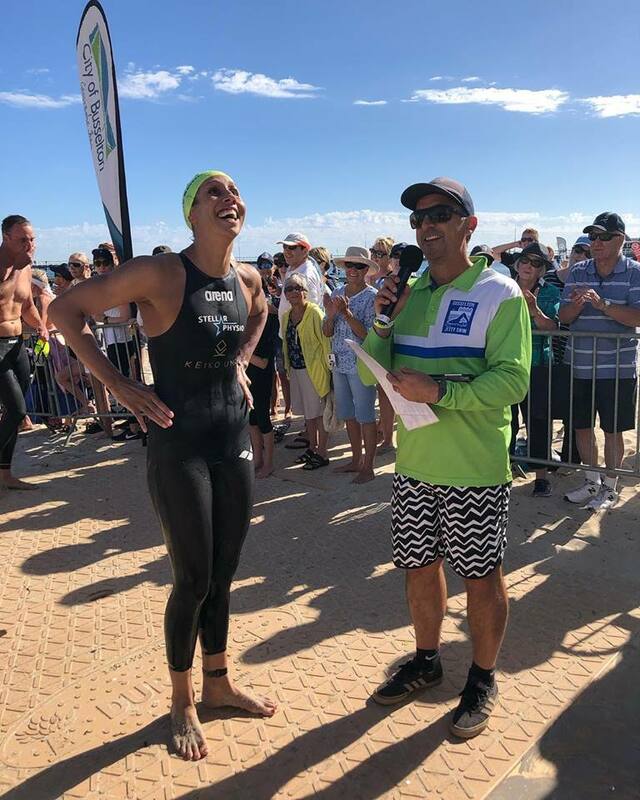 Last weekend, Jaime had a record-breaking win in the 3.6km Busselton Jetty Swim. We caught up with Jaime ahead of her eighth solo Rottnest Channel Swim. Q: You’re highly regarded as an all round endurance athlete. What is it that draws you to open water racing? I love that open water racing can be as competitive as you want it to be and that anyone can do it. You don’t need to be an elite athlete to take part. Lots of my friends, work buddies, and their kids all take part in open water swimming for similar reasons, we love a challenge and being in the ocean. Q: Swimming the 19.7km Rottnest Channel Swim must challenge you mentally. What strategies do you use, or what do you say to yourself, to keep swimming at a pace that most of us couldn’t keep up for 50m? It doesn’t matter what training you do, 20km is still a long way for anyone to swim. I try and swim at a comfortable pace at least for the first 10km and save some energy for the last 5km. This race for me is more of a mental challenge than a physical one. Negative thoughts will come through my mind as the race goes on, I just have to keep ignoring them or turn them into more positive thoughts. Q: About half the competitors this Saturday are competing in the swim for the first time, what race day advice do you have for them? Swimming to Rottnest for the first time is an amazing experience. Try not to get too stressed leading into the big day and remember why you decided to do it in the first place. Don’t try anything new on race day including nutrition, medication and swimwear. Q: During the open-water swim season you compete in races most weekends, which is your favourite and why, and which is your least favourite and why? My favourite races are usually the races where you swim from point A to point B rather than swimming around in circles. I love The Busselton Jetty Swim,The Cott Mile, The Rottnest Swim Thru and The Swim Thru Perth. The community involvement and great people makes each event so enjoyable. Q: Who is your sporting hero? What are the qualities you admire about them most? Turia Pitt would have to be my hero in sports and in life. 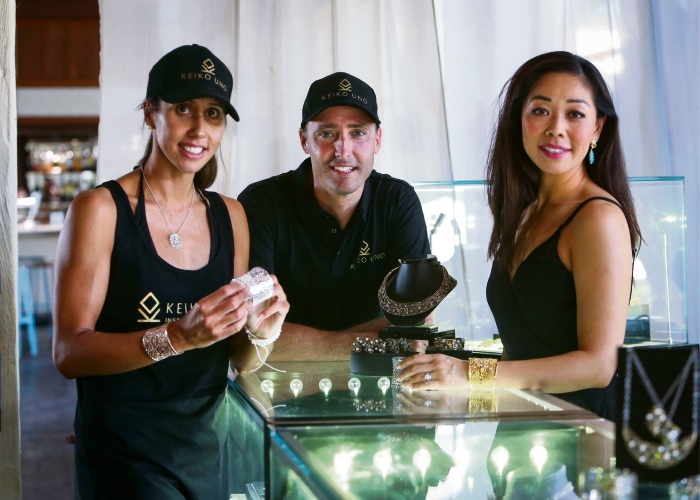 She was successful in all areas of her life and after enduring full thickness burns to 65% of her body during an ultramarathon race, she chose to stay positive, embrace it and become an inspiration to so many people. Her guts, determination and zest for life are just a few of the qualities I admire. Q: Can you tell us something about yourself that would surprise or shock us? Jaime’s paddler is Todd Bowler, reigning national surf rowing champion and director at SOAR Consulting – inspiring teams to reach peak performance. Jaime would also like to thank Stella Physio, Subiaco – a state of the art physiotherapy practice achieving optimal recovery in the quickest possible time; and her mindset coach, Diane Studman-Porteous, of MPowerment Consulting – empowering people and organisations to get the most out of their business and personal life through coaching, consultancy and workshops.